Have you been injured on the job? Arrowhead Clinics has specialized in worker’s comp injuries for nearly 40 years. Have you been injured during work and are seeking medical attention? Stop the pain at an Arrowhead Clinic office. Since 1979, Arrowhead Clinic has been providing effective, non-surgical chiropractic treatment therapies to patients all over Georgia and Tennessee. 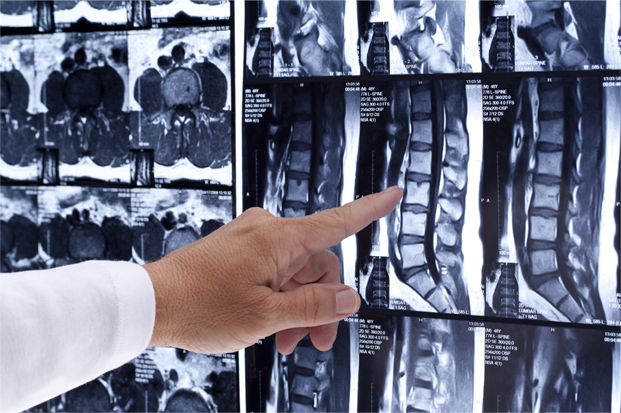 At Arrowhead Clinic, you will receive the medical care and rehabilitation for your injuries. An estimated 104 million employees in the United States are involved in worker's compensation injuries at some point in their career. That's over 94% of all employees in the nation! If you were injured at work, it is essential to take the right steps, not only maximize your worker's compensation monetary benefits, but to also ensure that your injuries are being treated properly. Whenever you are involved in a workplace accident that results in an injury, trust in the Best Chiropractic Care Office: Arrowhead Clinic. 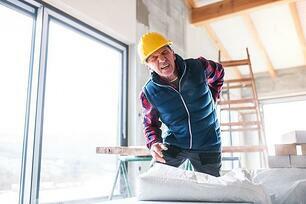 When Should I Get Treatment for a Work-related Injury? You should seek medical treatment for a workplace injury as soon as possible. Getting early treatment, usually, means a quicker recovery. 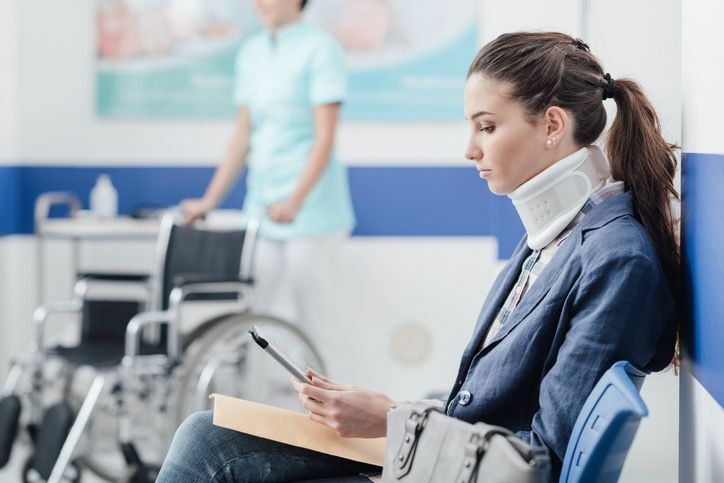 It also helps that when you seek medical attention soon after the accident, your employer will not question whether or not the injury is work-related. Bottom line: the sooner you seek medical attention from a Chiropractor or Doctor, the better. Arrowhead Clinic is listed as an approved provider for all major Worker Compensation providers in the states of Georgia and Tennessee. We have this high honor because of the available treatments and evaluations we provide for this situation. Below is a list of the available treatment options Arrowhead Clinic offers for Worker's Compensation situations. What Should I Tell My Chiropractor About My Work Injury? As with any doctor visit, you should tell your Chiropractor every detail about your injury. You need to be honest and accurate when describing what pain you are having, where it is, how often, and how painful. Medical professionals still rely on patients to report on any symptoms they are having and what difficulties they are experiencing. Some injuries, like soft tissue damage, can be more subjective than others, which means it is even more crucial for you to communicate honestly about your pain. Even if you think that some of the symptoms you are experiencing are minor, let your Chiropractor know about it. Sometimes a seemingly harmless symptom can turn into something significant in a few weeks' time. It is also important to remember that you should not speculate answers about questions you are unsure about. If you are asked a question during your medical exam that you do not know, say exactly that. Arrowhead Clinics will properly document your injuries and provide a detailed employer's report. Aside from the Worker Compensation Treatments we offer, you may receive other manual chiropractic treatments to treat your work injury. Instrument-assisted soft tissue therapy uses special stainless steel instruments designed specifically to diagnose and treat muscle tension. Manual joint stretching and resistance techniques can help to reduce any neck pain (or other similar symptoms) you may be experiencing. Therapeutic massages can help to relax tensed or strained muscles and alleviate pain. Trigger point therapy is a manual chiropractic therapy used to relieve tight, painful points on an irritated muscle. Inferential electrical stimulation uses a low-frequency electrical current to stimulate neck muscles. An ultrasound sends sound waves into your muscle tissues to help reduce pain and stiffness in your neck and back. In addition to manual therapies, therapeutic exercises may be recommended. These exercises can help to improve the overall range of motion in your neck and prevent neck pain from progressing. All of the treatments available are examples of possible chiropractic treatments for neck pain; your actual treatment plan will depend on your diagnosis. During your Free Consultation, your Chiropractor should thoroughly explain your potential treatment options so that you know what to expect down the road. Request A Free Consultation at Arrowhead Clinic Today! There is no reason to neglect seeking medical attention after a workplace injury takes place. Arrowhead Clinic is your one-stop shop for all Accident Injury relief. If you have been injured in at work, call the Leading Chiropractic Clinic today. Click the button below to get started scheduling a Free Consultation at Arrowhead Clinic now.